Everyone who followed the 2014 Scottish independence debate will remember the propaganda threats from the Unionist camp that a vote for independence would mean Scotland being hurled out of the European Union against their will. The result of the 2016 European Union referendum makes it absolutely clear that the result of Scotland voting no to independence in 2014 is to get dragged out of the European Union against their wishes, by the much larger English electorate. A whopping 62% of Scottish voters wanted to stay in the EU. In a two choice referendum, a 62% - 38% result is a monumental landslide verdict against Brexit. The problem with this enormous victory for the Scottish Remain campaign is that with a population of only five million, this landslide victory for Remain in Scotland was watered down and totally reversed by the massively larger English electorate voting, for whatever reason, for Brexit, and giving the xenophobic tabloid-indoctrinated little-Englanders, the hard-right Tory fringe and the Britain First hatemongers a day of celebration they will never forget. In fact some of them are even proposing a national holiday to celebrate June the 23rd as English Isolationism day! The upshot of it all is that one of the main terrifying outcomes that the "Project Fear" campaign used in order to intimidate Scotland into rejecting independence in 2014 has now come about precisely because they did reject it. Pretty much as soon as the EU referendum result became clear, the Scottish First Minister Nicola Sturgeon began making the case for a second Scottish independence referendum, describing the scenario of Scotland being dragged out of the EU against their will as "democratically unacceptable". The case for a second Scottish independence referendum is pretty much incontestable. The situation has changed dramatically since 2014. 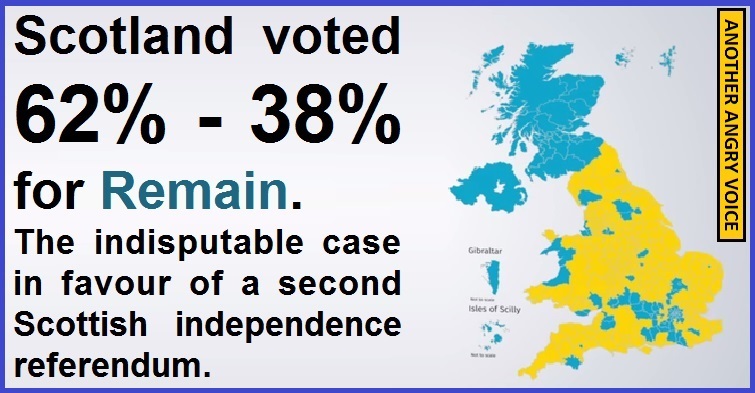 Had the Scottish electorate been aware that a vote against independence would result in Scotland being hauled out of the EU against their will, it's absolutely certain that an awful lot of people would have cast their votes differently. Brexiters who try to argue against another Scottish independence referendum haven't got a leg to stand on. They repeatedly harped on about how the undemocratic nature of the EU and their complaints that the EU imposes its will on the UK. Having based their campaign on arguments like that, it would be a shockingly brazen display of hypocrisy to then argue that the Scottish electorate shouldn't get the democratic right to determine their own future (and abandon the undemocratic Westminster crony stuffed House of Lords), and that they should simply accept the English electorate imposing their will on Scotland. David Cameron's decision to gamble the entire future of the UK in order to gain a bit of short-term party political advantage at the 2015 General Election has backfired spectacularly, and his legacy has been cemented as one of the most reckless gamblers in British history. Cameron was clearly suffering from hubris. He thought that if he could convince the Scottish electorate to vote against their own interests in 2014, he could easily convince the English electorate not to commit a massive act of economic self-harm in 2016, but he was wrong. The irony being that the result of Cameron's second massive gamble with the future of the UK means that his victory in his first massive gamble is now under severe threat too. 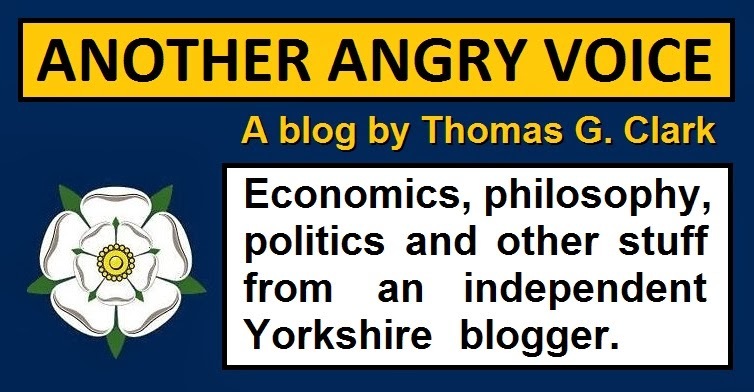 If Scotland does get the second independence referendum that the circumstances dictate that it deserves, this Yorkshireman will be supporting the Yes campaign just as strongly as he supported the last one.